Why not start with buying some new choons? Head to HMV, which may have originated in the 1920s but nevertheless remains a top place to find top 40 hits. Housing a relatively large selection of vinyl, you’re guaranteed to find new music in 12-inch format by current artists. 3/F-4/F, Entertainment Bldg, 30 Queen’s Rd C, Central, 2739 0268; hmv.com.hk. Part of the fun of record shopping is flipping through the racks in search of a rare album or a long-forgotten favourite. Paul’s Used Records gets its secondhand stock from radio station libraries and DJs, as well as importing vintage records from around the world, so there’s plenty of opportunity to uncover a gem. The collection here is so large, you won’t even scratch the surface on your first visit. 5/F, Wai Hong Bldg, 239 Cheung Sha Wan Rd, Sham Shui Po, 9841 7136. If you prefer the rousing sound of a full orchestra to a pounding dance beat or if you’d rather chill to the skittish rhythms of jazz piano than listen to the wail of a metal-esque electric guitar, Classic Shop has you covered. With its vinyl-only policy, this Central store sells a range of jazz, classical, Chinese and pop. Most of the records here are used, so you can sell or trade your collectibles as well.Shop 201, Won Hing Bldg, 74-78 Stanley St, Central, 2541 7733. When your inner hipster strikes and you’re looking for something a little less mainstream, Kubrick’s bookstore is worth checking out. Catering to post-rock, punk and indie vinyl records, you won’t have to worry about any autotuned manufactured music. Selling all-new records, you can buy in-store or order. 3 Public Square St, Prosperous Garden, Yau Ma Tei, 2384 8929; kubrick.com.hk. Online stores give you easy access to a world of music that’s delivered direct to your door. Hong Kong’s own Zoo Records offers free shipping and sells a vast range of music, from alternative to Chinese indie. Having a pre-order option ensures you’ll be one of the first people to get your hands on any record and, for those who prefer to browse in person, Zoo has a store. 3/F, President Commercial Ctr, 608 Nathan Rd, Mong Kok, 2309 2911; zoo-records.com. 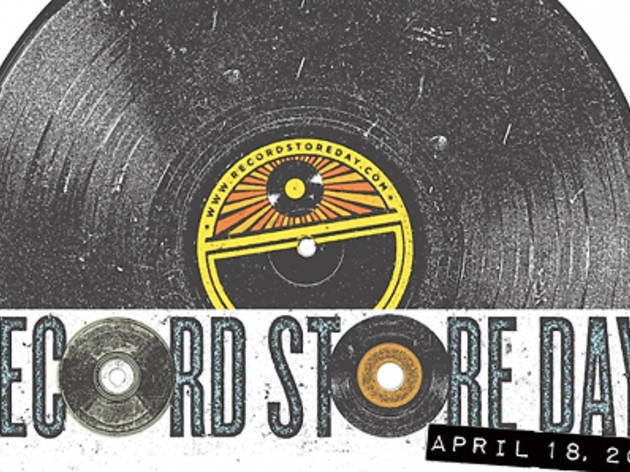 On April 18 itself, countless record stores around the world are putting on special events, with live performances, promos and limited edition presses released especially for the day. White Noise is one of only two shops in Hong Kong (the other being Saffron Record Store, see recordstoreday.com for details) to be putting on events between 1pm and 9pm. Catch live performances, DJs and a party atmosphere. 1/F, 720 Shanghai St, Prince Edward, 2591 0499; whitenoiserecords.org. Whether you’re looking to enjoy your vinyl in a relaxing environment at home or if you want to let your inner DJ out, Sonata Club should have something to suit your musical needs. It’s a members-style retailer that sells record players and turntables. With your membership you also have access to installation, delivery and repair services. From assisting you with your purchase to setting down the stylus, these guys do it all. 8/F, Hollywood Plaza, 610 Nathan Rd, Mong Kok, 2796 6373; sonatas.cc. So, Record Store Day doesn’t just have to be about the products. It can also be about the guys who bring the products alive. Hailing from London, DJ Miles started spinning at the fresh age of 15 and, now, with 20 years’ experience, he displays his skills on the turntables at Boujis nightclub. If retro vinyl hits are what you desire for your next private soirée, DJ Miles also plays private events. milesslater.com. 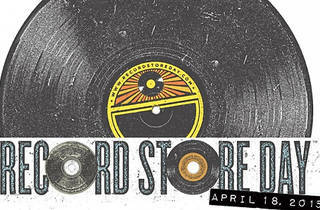 If listening to vinyl is your passion, then why not learn to play on or around Record Store Day? DJ Dennis Zelazowski has been at it for 15 years and offers DJ lessons in Hong Kong. He co-founded Sonic Insights, a DJ and music production academy, along with partner DJ Sean Rogers. Together these guys fine-tune your hearing and have you spinning like a pro in no time. 5527 0678; sonicinsights.com. If you’re looking for a place to party to the pure sound of vinyl music then you should head over to the new Social Room, which officially opens in the next few weeks. This underground-style lounge isn’t like your typical Hong Kong club. It’s got soul and grit and plays styles of music you won’t hear anywhere else. We like that. You will too. 3/F, Won Hing Bldg, 74-78 Stanley St, Central, 2815 0868; facebook.com/bassmenthk.